Collective action achieved in a refugee camp in Basel (Switzerland). 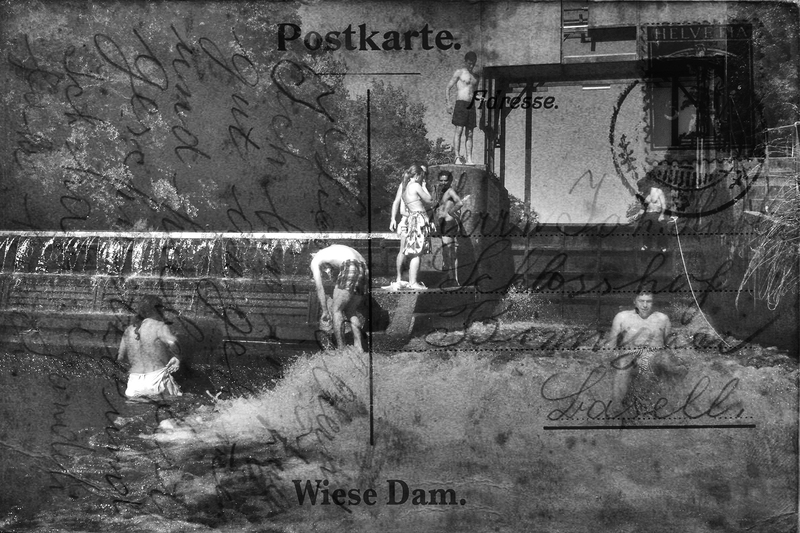 Wiese river, is located on the border with Germany, and became a place of playfulness taken by inhabitants of anywhere. The temporary occupation of a dam by the group appeared as a mirror between the legal limbo of that space and the political limbo in which they were. Wiese Dam. Collective Action. Poster. 15×11 cm. Basel 2011. Wiese Dam. Danger of Death. 20×30 cm. Basel 2011.